A few months ago, I made a short post on our facebook page to see if anyone would be traveling to Death Valley National Park. That weekend, we had planned to visit the park to witness the relatively rare “superbloom” that was occurring in the desert. We had one response from a photographer I have personally followed for years: Rick Whitacre. Rick is an avid night photographer and I’ve chatted with him on occasion via social media and email. It’s always exciting to meet other people who share our passions when we travel. We met Rick at Badwater and shot the early morning Milky Way from Devil’s Golf Course. More than just having the opportunity to shoot photos in an amazing place, it was it was a truly positive experience for us to share that experience with another astrophotographer. The small meeting with Rick spurred the idea of organizing a bigger public meetup for astrophotography enthusiasts. 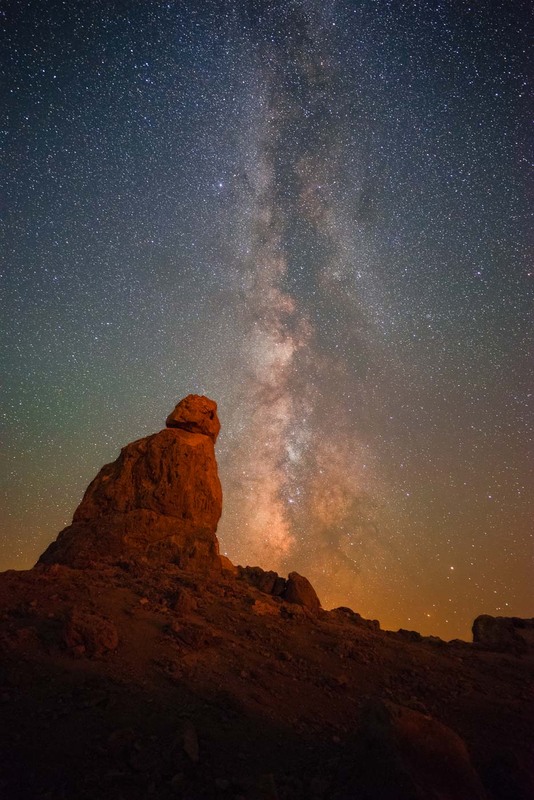 That’s how the idea for the 2016 Lonely Speck Astrophotography Meetup at Trona Pinnacles was born. When we first posted about the idea to hold a public meetup in the desert, I didn’t really expect a whole lot of people to sign up. “Maybe 20 if we’re lucky.” That’s what Diana and I thought we should expect in terms of turnout for the meetup. Fast forward to a couple weeks before the meetup and nearly 200 people had responded. Many of my close friends signed up. Even more people that I have never met signed up. Many names I recognized and many more I did not. Many were people that frequented Lonely Speck or shared email conversations with me and others were friends of friends or just so happened to stumble across the blog. Some people flew in to Los Angeles from other states and even other countries to participate. It’s possible that one of those people that signed up for the meetup was you. I’ve visited the Trona Pinnacles many times and I have only ever seen a small handful of other cars there, maybe one or two on a typical night. What a turnout! 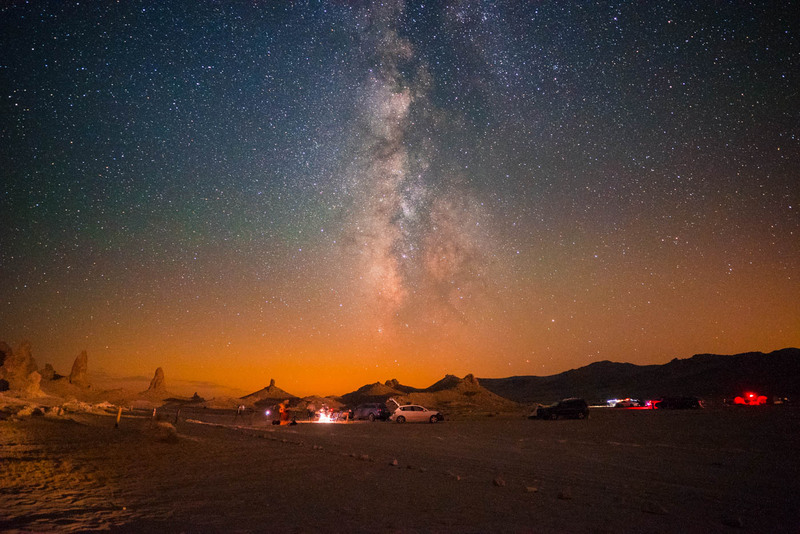 There are over 100 people in that photograph, about 55 cars on the horizon (bottom right) and you can see the Trona Pinnacles on the horizon to the top left. There are also a bunch of attendees that didn’t make it into the photograph so we estimate the total attendance to be from about 130-150 people. We had visitors come from all over the USA and even other countries as far as the UK! As everyone gathered for the sunset meet and greet, I reviewed some rules and etiquette for the night. With the massive number of people that showed up, shooting astrophotos was surely going to be a challenge so I reminded everyone to help each other out and practice patience with one another. 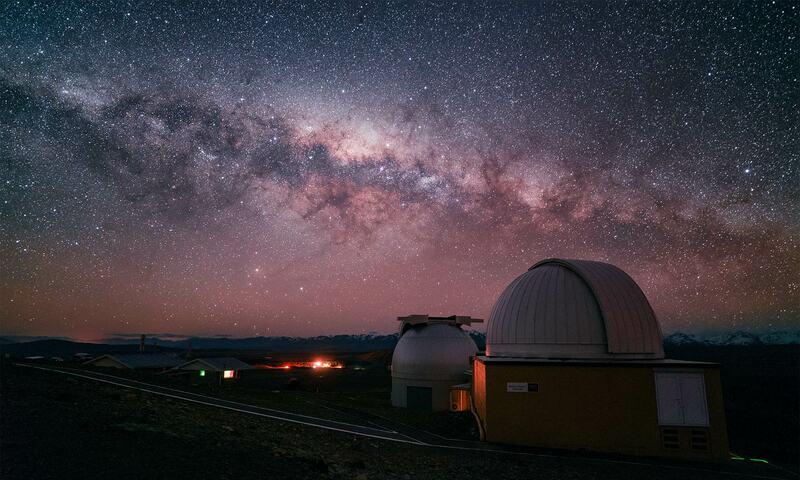 On a typical night of shooting astrophotos, it’s usually rare to encounter another photographer. The meetup presented the antithesis of a typical astrophotography wilderness shoot so it I thought it really important that everyone work together and communicate with each other throughout the night. There’s nothing more frustrating than getting your shot ruined by someone else’s headlamp. For the meetup, I wanted everyone to take a really relaxed attitude about such problems and not put too much worry about getting the prefect shot they envisioned. I think making such an announcement really created a laid-back mood for the event. After talking about the rules for the night, I thanked everyone for showing up to the event. It was amazing to see so much support from people around the world and for everyone to come together. It was an amazing moment to share with so many of the people that have supported us and made our blogs, North to South and Lonely Speck, a success. Neither Diana or I anticipated the amazing adventures that we’d go on together when we decided to pursue a full-time lifestyle of travel, blogging and photography. We’ve learned so much together while building our blogs in to viable businesses all while exploring new parts of the world. I can’t wait to experience the rest of my life with such an amazing person and I’m glad that we have so many people like you supporting us along the way. After our surprise engagement party, I gave a few tips to the more inexperienced attendees before we all split off to photograph the night sky. The conditions for the night were perfect. While it remained over 90F for most of the night, it remained perfectly clear for the entire night. 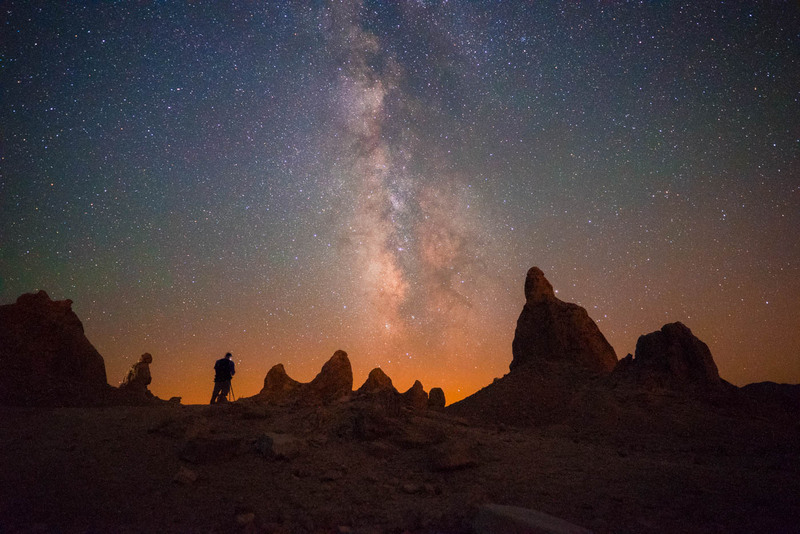 Early in the night, a huge group of photographers lined up near the closest bunch of pinnacles to make their first astrophotos of the night. After David captured the photograph of Diana and me, we continued to wander around, meeting many of our old and new friends. It was an amazing experience to see so many other photographers work on their own compositions. We help out as many photographers as we could when they ran into trouble and we saw even more people helping out each other. Coming up with a caption is even harder than trying to focus in the pitch dark…? but on the other hand this is hands down my top favorite pic of the night from the #lonelyspeckmeetup . Huge thanks to @caseymonsterr for volunteering to model for our group. Hope you got a good arm and leg work out from standing still throughout the night ? @mnlphotoyo captured a great celestial portrait of @caseymonsterr shining a flashlight to the heavens. And @kevmophotos captured this great portrait of someone standing on top of one of the pinnacles. I love the sense of scale that he created in this composition. Check out the Instagram hashtag fee #lonelyspeckmeetup for a ton more amazing shots. As the initial crowds started to disperse, we hiked up among the pinnacles to capture a few photographs of my own. Even with over one hundred other people about, it was still possible to find some quiet areas to photograph the galactic center. There were numerous light sources moving around that night from everyone’s headlamps which certainly created a challenge for shooting but also often acted as a surprise light painting source. 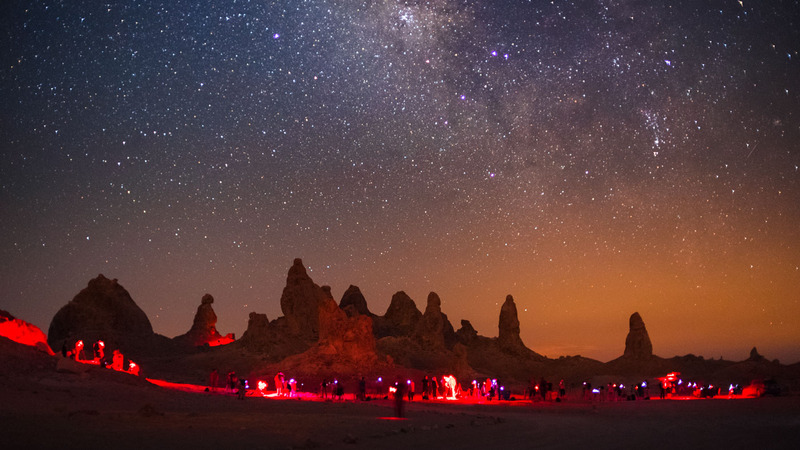 In the shot below, a departing car’s taillights lit up the pinnacles in a red-orange glow. It’s not what I expect from the shot but I like the result nonetheless. @brummelphoto captured an amazing timelapse clip of the meetup that shows all of the action of the meetup. I think his video really communicates the tremendous amount of fun that everyone had during the night. 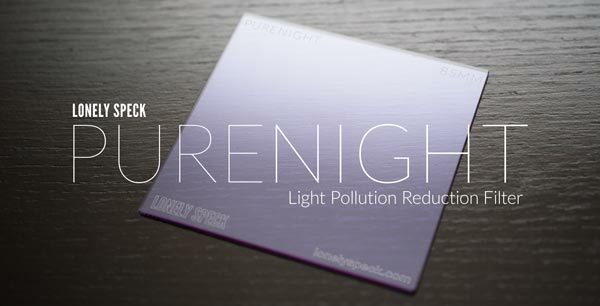 There were light pollution sources abound from all the participants’ headlamps, laser pointers, tail lights, and flashlights but I don’t think anyone attending complained. If anything, all the little lights roaming around in the dark made for some more interesting photos that night. Towards the end of our stay that night, Diana and I hiked up beyond the first set of pinnacles, and peered out to the far set of pinnacles. Standing high on the pinnacles, a hot wind whipped around the pinnacles at gusts up to 25 miles per hour, making it a bit difficult to keep the tripod steady. 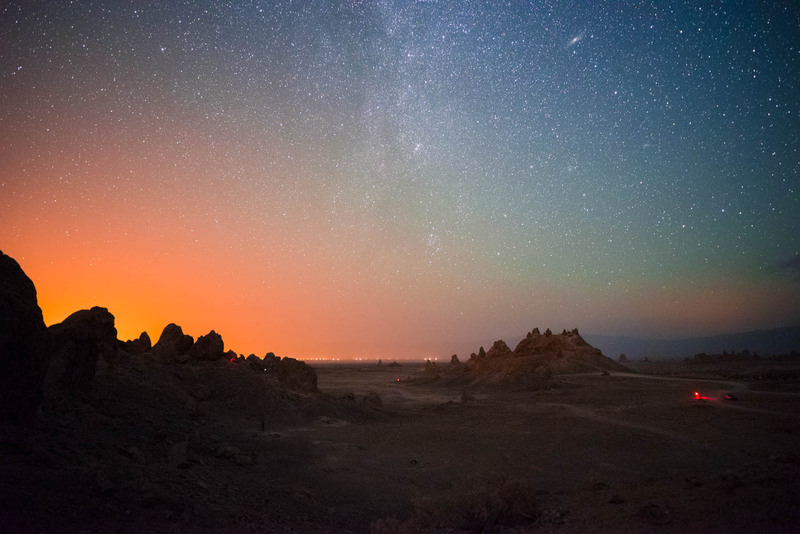 In the north facing photo below, the galaxy Andromeda hangs high above the tallest mound of pinnacles while the town of Trona glows amber on the horizon. In the foreground, numerous other photographers and vehicles can be spotted at random among the pinnacles. Diana and I stayed until about 1am before retiring back to our hotel in Ridgecrest to prepare for the next day’s sold-out post-processing workshop. As we departed, there were still many cars that remained and bunches of photographers still shooting, many of whom remained there well into the morning. The post-processing workshop the next day was also a huge success. We were sold out with 50 attendees and I reviewed all of my favorite methods of shooting and post-processing with everyone. If you did not manage to make get a ticket to the workshop, the entire 100 minute video lecture is now available on YouTube. 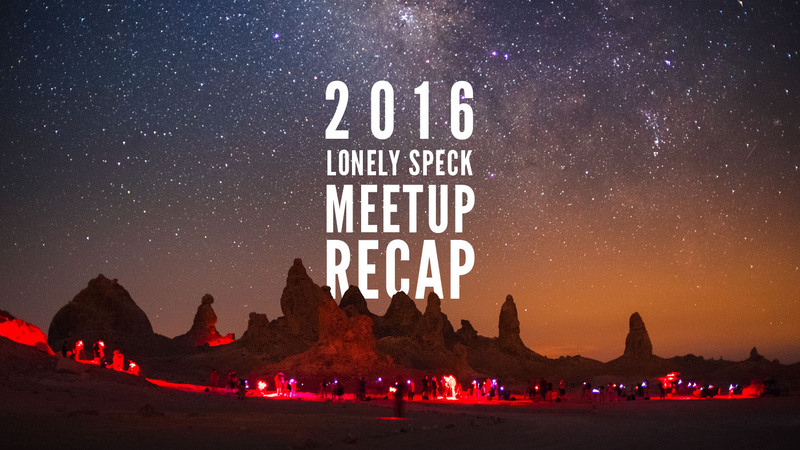 The 2016 Lonely Speck Meetup was amazing. We’ve already been asked a bunch of times if we’ll do another and I think that the answer is immediately a resounding yes. I’m still not sure exactly where or when the next annual meetup will be but be sure to check on the Lonely Speck homepage for details on the 2017 Lonely Speck Meetup as they become available. I hope that the 2016 meetup helped create many new friendships and inspired many more people to appreciate the beauty of the night sky. 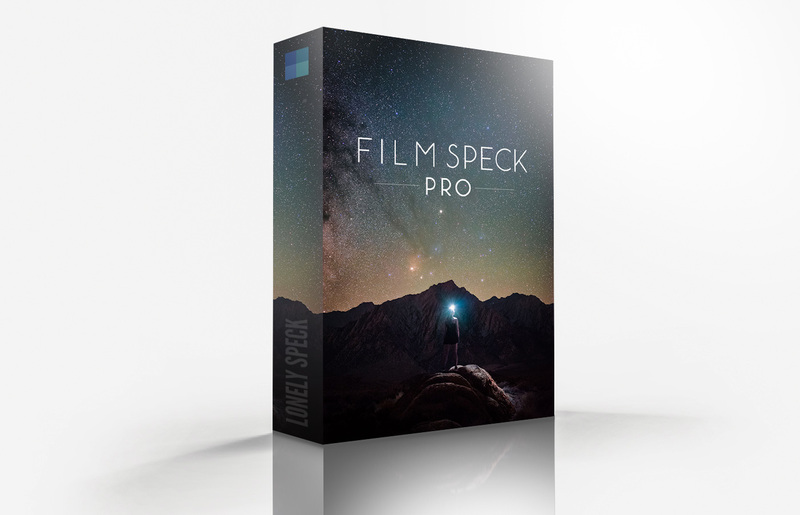 Lonely Speck is all about sharing experiences in astrophotography with the world. Diana and I have had so much fun sharing our astrophotography adventure with all of you through this blog and we’re so happy to have shared an actual night with you under the stars. Oops! Forgot to check the newsletter box. Hi Ian, I was one of the more inexpieranced attendees at the Trona meetup. It was a great venture for me, and I enjoyed it very much in spite of my less than excellent photos that I think was a direct result of having a less than adequate lens. 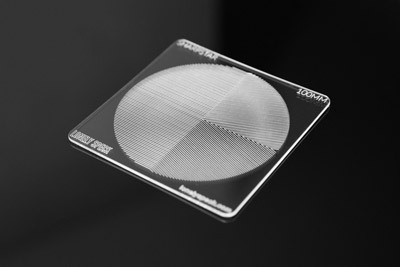 I am seriously eyeing a Tokina AT-X 11-20MM f2.8 Pro DX, which scores fairly well on your lens selection chart. I am hoping it will give me much improved results. In mid August, I drove to Joshua tree hoping to get a couple good meteor shots in the meteor shower, and did get a couple good ones. But traffic caused a late arrival and was not able to get a location sufficiently far from the road to avoid the glare of car headlights. Traffic through the park that night was far more than I had expected. Also got one great shot of Ursa Major directly above a nice rock formation near Skull Rock. I want to make that trip again later in the year when better locations may be more readily available. Orion will be shining brightly come November. Thanks for putting the Trona meetup together, and I will definitely be interested in participating g in any future excursions with Lonely Speck. Hey Ken, The Tokina 11-20/2.8 should be a great upgrade versus the kit lens and is one of my most recommended lenses along with its older versions (11-16mm/2.8). Thanks so much for coming out to the meetup!